Formula Grasstrack - A late start to the season as the first round was rained off - The first meeting was held at Chetton on Saturday the 19th May. Practice went well but grass held some damp so starts were a bit slick. Eli came second in the first two races. But after some minor adjustments to gearing etc got good starts and led from tapes to flag for the next four races. As Eli was leading had first pick of gate for final which ensured another win. The second round was held at Alveley (same place as Bewdley Bonanza) on Saturday 2nd June. Eli went out for practice but in the first race caught a slick patch and had to settle for second place. The next five races saw Eli finish first and another first place in the final. Eli currently holding 50 points to the second place rider at 48. 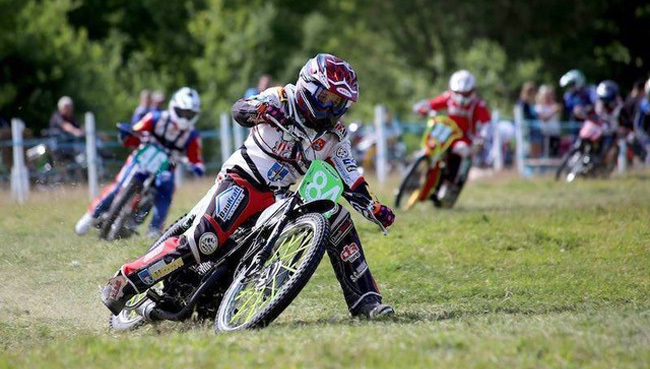 On 23rd June Eli attended Gresford by Wrexham for Round 4 on the Saturday and the postponed round 1 on the Sunday. Saturday the grass was still quite long and therefore quite slick putting Eli at a disadvantage on the start. The first 3 races he was outgated and had to settle for second places. As the track dried out and with a few minor changes to the bike Eli resumed his winning streak to gain 3 straight wins. In the final Eli was hard chased by Sam Hall but managed to stay ahead to win the final. Day 2 saw the track much better suited to Eli with six wins and a win in the final. On the speedway front Eli is still really enjoying his practices at Somerset with coaching from Steve Bishop and is improving his technique week on week. 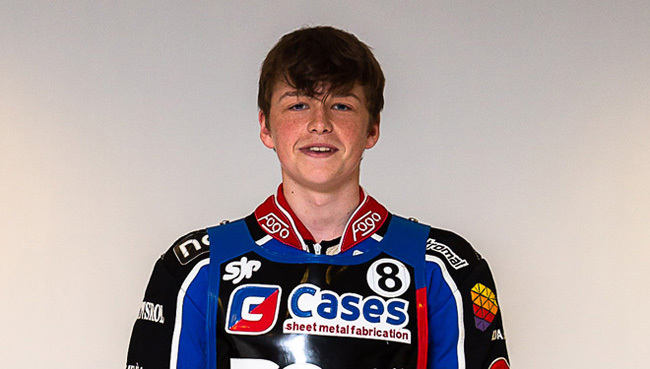 He was due to ride his first Young Lions meeting at Rye House, but after getting all the way there was struck down with a virus and couldnt ride. He is hoping to ride at the Scunthorpe meeting in July so watch this space! !